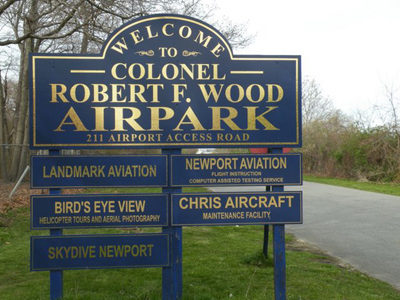 As a state-owned, public-use airport located on Aquidneck Island, Newport State Airport Terminal serves local aviation enthusiasts, the corporate community, tourists and the National Guard. Over time, poor drainage around the building resulted in standing water and the rotting of building materials. DiPrete Engineering and Saccoccio & Associates Architects worked together to help rehab the existing terminal.The team regraded the area surrounding the building and installed landscape drains to direct water into the existing stormwater management system.